CallVU enables leading financial organizations around the world to automate and digitize their customer interactions across all communication channels. Providing omni-channel experiences, CallVU brings customers into the digital fold and keeps them engaged as they seamlessly move from one device to the next throughout their journey. The visual interface optimizes customer interactions, enabling companies to increase digital usage, improve operations and drive more sales via digital. 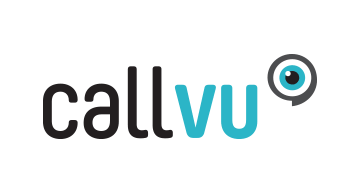 CallVU’s Customer Engagement Platform comprises Visual IVR for turning every phone call into a digital, self-service experience; Collaboration and Data Sharing for digitized agent-customer interaction both inbound and outbound; Smart Digital Forms that help to automate customer workflows, onboarding processes; and integration and set-up modules for quick rollout and automated integration with existing infrastructure. The platform is managed via single pain of glass that includes an in-depth Analytics dashboard.